Here's another antique piece I got a few months ago! I got this on ebay from Mary Fine on ebay for what I think was a good price! The pics and description are hers! 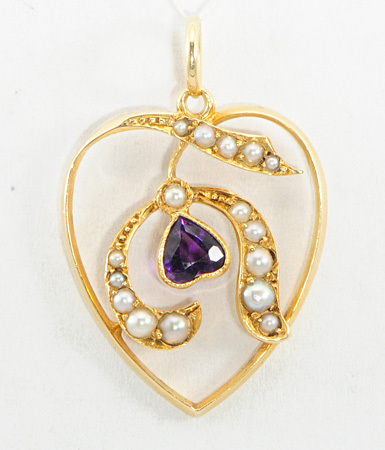 A small and finely made heart pendant has a stem set with graduated pearls and an amethyst heart to the centre. 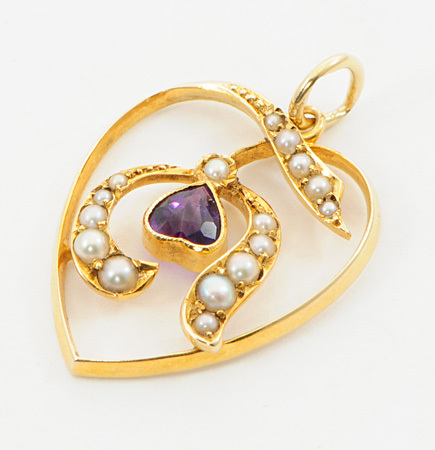 It is made in 15 carat yellow gold. Of English origin, please see below for further details. 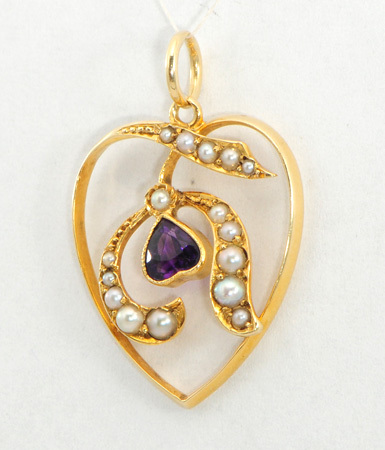 The design and hand craftsmanship date this small pendant to the Edwardian period, circa 1905. 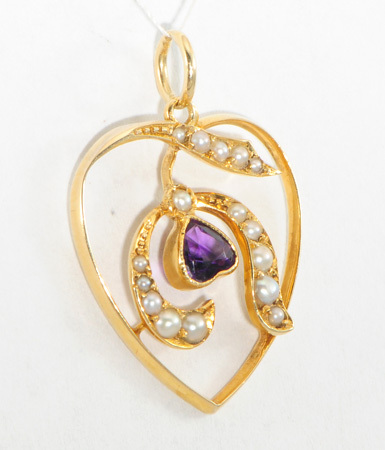 The pendant is 20mm by 17mm at its widest or 3/4 inch by 5/8 inch, not including the loop. 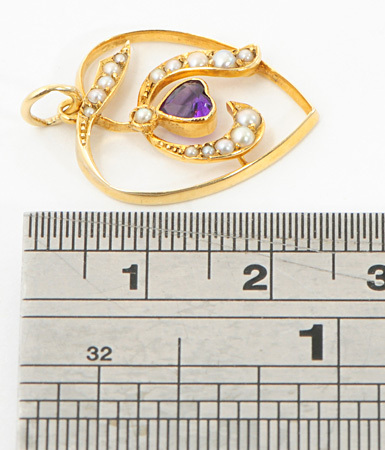 Weight is 2g or 0.07oz. 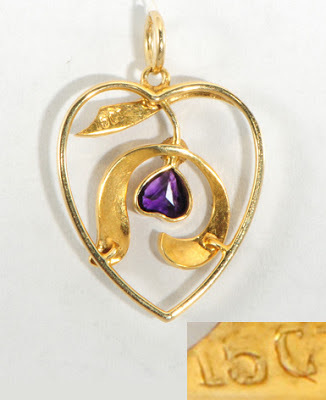 It is stamped '15 CT' for 15 carat gold. What a beautiful find! I'd love some Edwardian or Victorian pieces of jewellery one day! Thank you! I've found a lot of great things on ebay and etsy!